In October 2015 the European Commission announced that it would ‘explore launching negotiations on investment with [….] Taiwan.’ For a country that is so anxious to avoid being frozen out of the rise of regional trading agreements, the initial reaction in Taiwan was muted, in part because it was overshadowed by the Presidential and National Assembly election campaigns then underway, in part, too because at the time Taiwan’s top trade priority was accession to the Trans-Pacific Partnership (TPP) which included countries of greater importance to it in both trade and wider political terms than the EU; most notably the USA and Japan. And there was also a feeling among policy makers that a bilateral investment agreement was of less weight and significance for Taiwan than a free trade agreement, something Taiwan had been seeking from the EU for some years without success. …it is very much in Taiwan’s own interests to reduce its regulations and market access restrictions. For although it remains one of the most trade-dependent countries on earth, Taiwan’s economy is stuck in a worrying combination of domestic stagnation and growing reliance on electronics sub-components for export-led growth. But the reality is also that the bilateral trading relationship is not as strong as it once was. In the 1990s, European countries were queuing up to open trade offices in Taipei, or send ministers on missions to Taiwan in pursuit of lucrative contracts for their companies. Unlikely though it may seem today, at the time European trade with Taiwan exceeded that with China. In 2001, Taiwan was the EU’s 3rd largest bilateral trading partner in Asia. But by 2011 it had dropped to 7th largest, accounting for a smaller share of overall EU trade than both Hong Kong and Singapore, despite its much larger size. Since 1997, the EU’s bilateral trade with China has grown tenfold but with Taiwan just 36%. Today, Taiwan is only the EU’s 18th largest trading partner overall. On the face of it, a new bilateral investment agreement should help rejuvenate trade ties. And in the absence of improved access to the US through the TPP following President Trump’s withdrawal from it, enhanced trade and investment relations with the major market of the EU would be a significant prize. But if an agreement is to achieve the necessary impact and thereby become the starting point for building a closer relationship, it must offer meaningful benefits in terms of access to the Taiwanese market for European companies and investors. 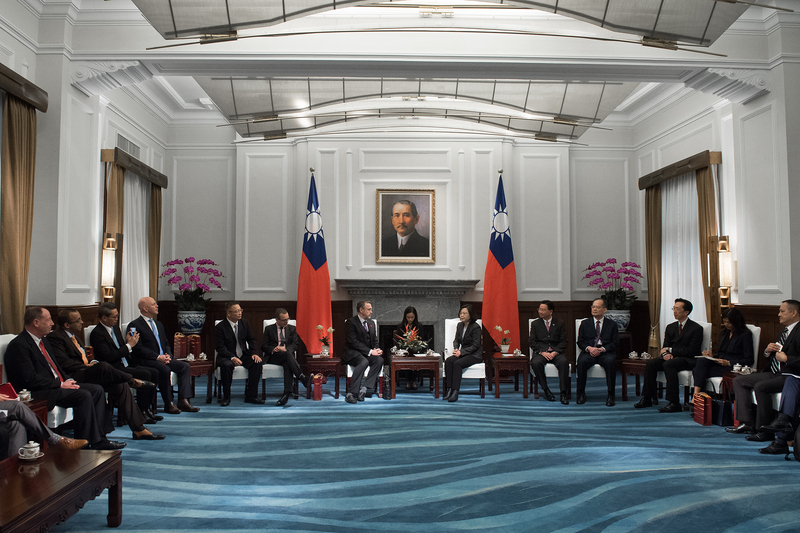 This may be unpalatable to Taiwanese officials who may fear that they would be expected to offer the bulk of apparent concessions in the negotiations, gaining relatively little in return, beyond the likely boost to Taiwan’s diplomatic standing. But it is very much in Taiwan’s own interests to reduce its regulations and market access restrictions. For although it remains one of the most trade-dependent countries on earth, Taiwan’s economy is stuck in a worrying combination of domestic stagnation and growing reliance on electronics sub-components for export-led growth. The Economic Co-operation Framework Agreement signed with China by the previous KMT government highlights the problem. This was meant to boost Taiwan’s exports to the all-important Chinese market by reducing tariffs and restrictions on them but since its signature, Taiwan’s exports to China have not only been outpaced by those of Korea but also grown more slowly than before. This is unsustainable, and the country badly needs to find new sources of growth. The instinct is to seek them in new export markets, be they countries or new products. But reform of the domestic economy should be a higher priority for policy makers. For in contrast to its historically highly competitive export sector, Taiwan’s domestic economy is dominated by state-owned or state-controlled enterprises, a legacy of the country’s authoritarian past. These are often inefficient by global standards and heavily protected, relying on regulations or market restrictions to remain in business. 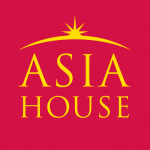 This stifles competition by hindering entry into the domestic sector of new companies, domestic and foreign alike, hampering imports and raising prices for consumers, thereby reducing job opportunities and growth prospects and making the economy more reliant on export-led growth at a time when the global trading environment is becoming more protectionist. Unless Taiwan is willing to address these in negotiations on an agreement, talks are unlikely to progress. Yet rejuvenating a stagnant domestic economy is the key to dealing with some of the wider social issues facing the current government, above all the lack of opportunities for young people and generally low wages. This will not happen without extensive structural reform and deregulation. Experience from other countries shows this is rarely easy and requires political determination and sometimes difficult decisions. The domestic political environment for starting such reform in Taiwan has probably never been better although it is unlikely to remain so for long. The stagnant domestic economy also does much to explain the lack of wider interest within the EU in engaging with Taiwan. EU exporters are discouraged by both the relative lack of commercial opportunities and the regulatory or technical obstacles that must be overcome to do business in Taiwan. So too are domestic companies. Far from helping them, out-dated or inappropriate regulations often make investing in China or Vietnam more attractive for Taiwanese companies than investing at home. The EU’s offer of negotiations on an investment agreement is therefore a double opportunity. A comprehensive agreement that would address market access issues should help provide the necessary stimulus or justification for some of the badly needed reform. Efforts to reduce the distortion caused by multiple standards and product testing requirements, or extensive food-labelling and certification requirements, would reduce costs for Taiwanese companies, exporters included, and benefit Taiwanese consumers. And a successful agreement should in turn raise awareness of opportunities in Taiwan amongst European exporters, boosting trade and generating greater awareness generally, thereby helping build relations further. I have several issues with the following statement that appears exemplary for the whole article. Why do international investment and trade agreements often have a bad reputation among large parts of civil society? 1. They are negotiated in secret behind closed doors unlike national laws that are discussed publicly in parliament. 2. They do not provide “stimulus or justification” for reform but rather enforce reform with specific outcomes, such making public discussion futile. 3. They do not only address “badly needed reform” but often impinge on hard won protections of workers, consumers, culture and environment. However, experience from other countries shows, too, that structural reform and deregulation (especially those favoured by international trade and investment agreements) usually benefits just a small segment of society and makes large segments of society economically vulnerable or even worse off. Therefore, it “requires political determination” to overcome the resistance of the many and it requires “difficult decisions” because too many are bound to get disadvantaged. This argument feels decidedly cynical. 1. China and Vietnam have got meaningful worker protection regulations only recently. There are no free trade unions with protected rights. There is an oversupply of cheap labour. That’s why wages are low. 2. Environmental protection regulation is flimsy and incomplete. The same is true for food safety and consumer protection in general. 3. In those authoritarian states there is no true rule of law. If and which regulations are applied is often negotiable by the investor. 4. If there are protests over transgressions like worker exploitation or pollution, a Taiwanese investor can often rely on the local authorities to suppress the protests, a nice investor protection service by the state. So, not the “out-dated or inappropriate regulations” at home drive Taiwanese companies to China and Vietnam, but the low wages and the lack of binding regulations there attract them.